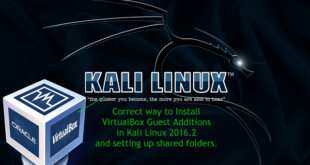 Home / How to / How to add remove user (standard user/non-root) in Kali Linux? 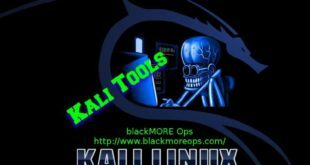 This guide will walk you through on how to add remove user (standard user or non-root user) in Kali Linux. I’ve tested this in Kali Linux, so any Debian or Debian derivative (such as Ubuntu) should just work. Now let’s move onto actual guide. Nice, all worked out as expected. Previous How to fix Wired Network interface “Device not managed” error in Debian or Kali Linux? Thank you very much! Was reading some stuff about this ICEAuthority error but this helped me finally! Great Template of the Blog by the way. Awesome for nebie like me. Nebie question. Why you change default shell?! What for?! Thanks. I’m glad you actually picked it up and paid attention to small details. bash is a superset of sh ie. everything you can do in sh you can do in bash. Bash has more features (branching, builtins, arrays) making script easier to write. I guess Wikipedia can explain better than I can .. http://en.wikipedia.org/wiki/Comparison_of_comput…. You could create another user, skip chsh -s /bin/bash user1 and see how default shell feels like. If you like that, you keep that, else you could always delete that test user. 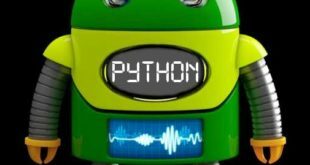 Is the command sudo su – permenant because it keeps reverting back to user? No, sudo su - is never permanent .. If you want it to be permanent, you MUST login as ROOT user. I used to log in as root ! but now i’ m standard user ! so how can i import all the system settings and preferences from the old user (root) to this new user ? There’s no easy answer to this really. Ideally you should be making changes on /etc/skel/ so that the changes takes affect when a new user is created. Thank’s to the communities of blackmoreops you are just doing a marvellous job. I tried to do this just to access chrome, and I think changing the default shell on the new user somehow killed gnome3. Now when I boot in, I just have a black screen with the cursor as a white watch. I can access the terminal, but can’t seem to get internet access, and nothing I can find anywhere else seems to help. Any ideas? I tried changing the shell on root between sh and bash, with no luck. Deleting the user, trying to fix the apt-get installs via net but couldn’t connect. Thank you very much for your guides otherwise though! They’re fantastic. I followed ur steps.. works fine till add to SUDO group. Next when I do the chsh -s /bin/bash username, I get a “enter password” and then authentication failure. 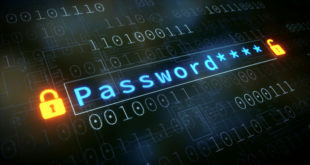 (I enter root password. I also tried the username password and no password !) I am working with Kali linux. When you say ‘username’, did you typed in the actual username ( i.e. bob, john) ? i tried to remove the file but it didn’t work . How to change the “root” name? How do we safely delete group created by user1, assuming that a group ‘user1’ created for user ‘user1’. I got an error . when i updated my kali linux to kali linux rolling , i had an account in kali linux with name “ali” and unfortunately it had been deleted but now when i tried to log in into kali linux rolling the CLI shows an error with user “ali” services not started and all the extensions has been stopped . so kindly tell me what can i do ..
i also tired by deleting the home dir of user ali but not worked . Please find need help, after entering user name I try to type my new password is does not do anything, I don’t know what I am doing wrong here please help? Tried it over and over what you wrote, but it won’t work. Ok, Kali 2.0 is on a fast USB stick here, works fine so far. Are you using non-persistent USB installation? This works on pretty much any Debian flavored distro. What is the error you are getting? This should create and then switch to mytestuser account. I’ve made one with persistence. User1 I have made like you from BMO wrote. At the moment It’s working. I can easily change root and user1, the window pops up now. Maybe it’s not the right way but I’m a n00b you know. First I have to thank you for the fast reply. I tried it out but it doesn’t work. I’ve set up the USB 3.0 stick this way. After installing Kali on the stick I’ve set up it as Persistence (Mini Partition Tool) to move/resise the usb stick. Then I wanted to make another user and that didn’t work. Have I messed up the OS? As you see, I’m not an IT but I do loved the Kali 2,0 distro. There are many Linux distros but I think they ar not that good. I want to give it another try … dunno what went wrong??? Thank u again for your reply. I think while I was installing it that way, I’ve forgot something and that was the ‘sudo’ command. But anyway, it’s running like a charm. I do believe Kali (Debian) is the best Linux Distro there ever was. I am using kali 2016.2 e17 version and I set up a standard user but when trying to login I get a enlightenment crash and all modules shutdown error right after language,keyboard,profile picks. Any ideas. I deleted user through root login and setup again same thing. It’s so helpful my friend. Thank you very much. I have changed the last kali software it’s daemon.conf an at the moment everything is working like a charm. The window where I can change root and user1 is back!! I made a mistake while installing Kali 2.0 64bit!!! on a USB 3.0 stick. Used an ‘old’ PC. (I’ve tried to install the 64bit with pendrive and that didn’t work on my ‘old’ pc. Most of you ppl use ‘Pendrive Linux’ to make the installation. Latest new mobo’s are UEFI and in Rufus you can set Bios or Uefi & Bios or Uefi I thought. Installation is not that hard to do with Rufus and it didn’t made a problem. Rufus stops installing and downloads some files you need to make a clean installation of Kali. If you give the Kali OS full space, there is no more room for the downloads/updates/upgrades so do make use persistence. Boot your Kali. As you see you are Root. 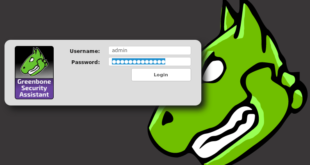 After you’ve done all the work (grin) log out and a ‘problem’ showed up, you can’t login as User1 because the window where to set User1’s name and passw didn’t show up. As I wrote a little bit higher up on this page ‘problem is something in the ‘daemon.conf’ file. Reboot and you’ll see the window where you can change to User1 is Alive again. 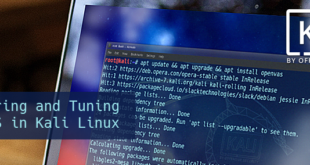 I don’t know if I am doing this right because I am not an IT and I don’t know lot’s about Linux but anyway for me it works and the Latest Kali version 64Bit is running very fast on that USB3.0 stick. Keep up the good work BMO!! p.s. maybe I am doing it wrong but it works for me. Install graphical tools then use the command line, anyway. Brilliant. Great web site. A lot of helpful info here. I sending it to some pals ans also sharing in delicious. And of course, thanks in your sweat! It asks me for password.I tried my root password and my user1 password but it gives me an error saying …..